Manage every gallery detail in a single database: inventory, artists, consignments, sales, contacts and so much more. Completely cloud based with daily back-ups and top security settings. Access your account from anywhere. 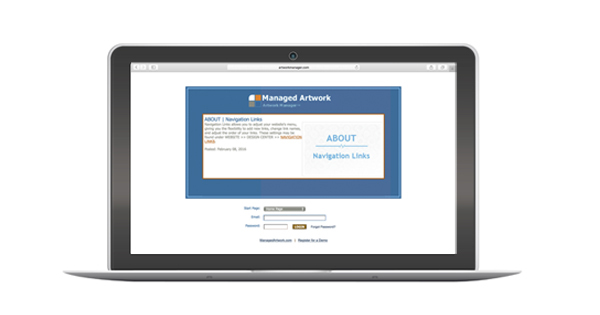 The Artwork Manager™ artist software is a comprehensive and intuitive database built specifically for the needs of artists. 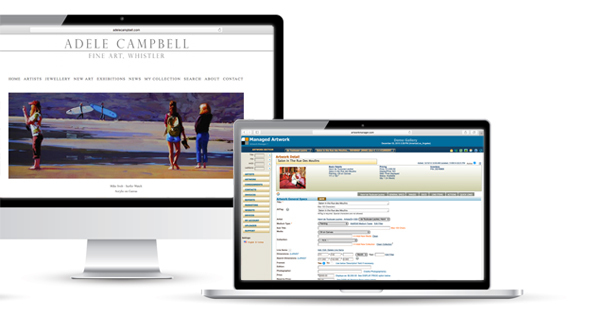 Manage your art gallery website in-house while using sophisticated SEO and website development tools. 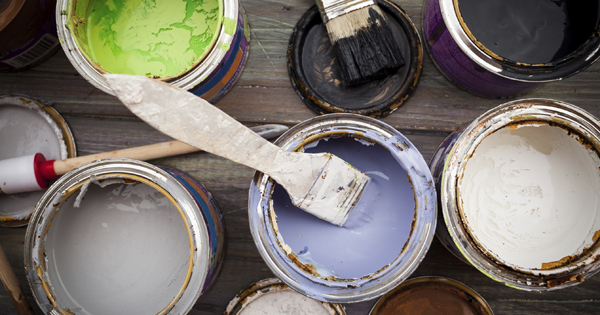 Receive expert support and training from art industry professionals. 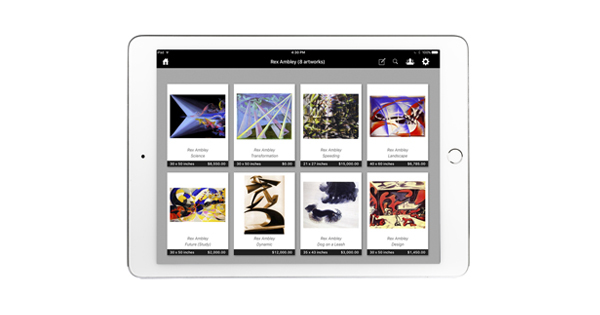 Works in conjunction with the Artwork Manager ®, syncing all available inventory to your iPad. In 2001, Managed Artwork built the first web-based artwork management solution in a time where installation software was the norm. What were we thinking? Well, we were thinking ahead. Since then, we have worked with hundreds of clients across the world as their partner in technology. We know that in the art world one size does not fit all. 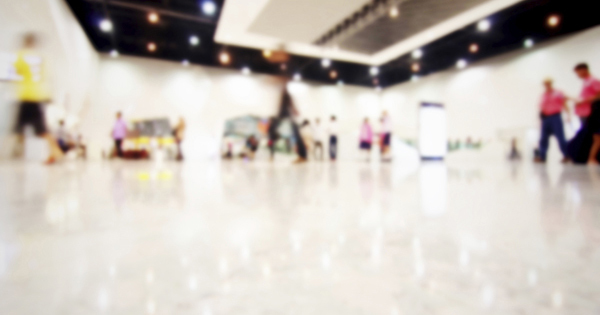 Whether you are a gallery just opening the doors, an established gallery or anything in between, we tailor our services to fit your needs. 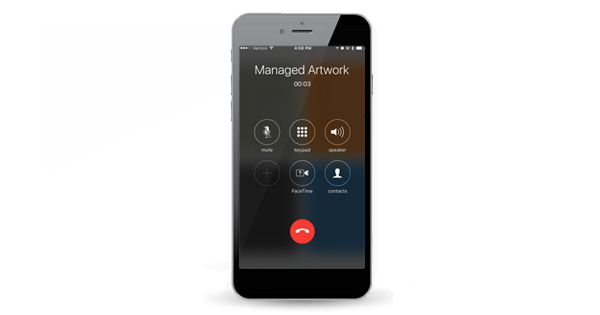 With Artwork Manager™ management solutions galleries, artists and collectors can access their information with ease at anytime, anywhere. Store artwork details, editions, contacts, images, sales, consignments, insurance information in addition to managing your website, marketing, SEO and much more.